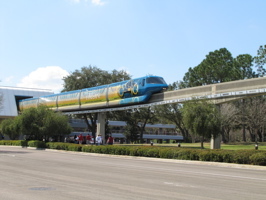 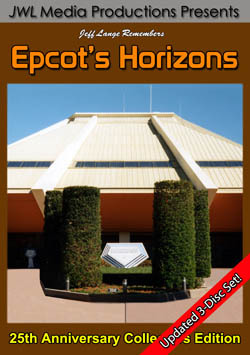 The sleek, new Tron monorail spent it’s first day out on the beam on the line between Epcot and the TTC (where it is supposed to stay). 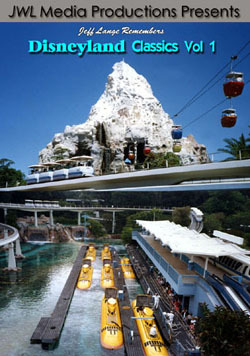 We read that only the front and back of the monorail (below left and right) were painted, with decals running down the side. 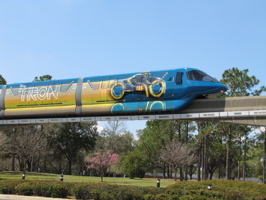 The new “TRONorail” boasts bold colors and looks great out on the track.